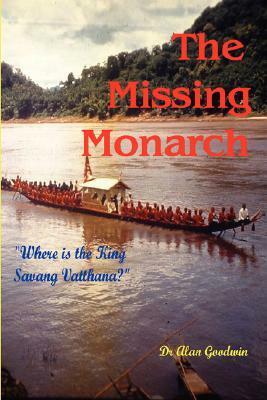 “The Missing Monarch” by Dr Alan Goodwin is a beautiful novel set in Laos. When the communist revolution de-throned King Savang Vatthana and his wife, they were put in a correction prison and perished. This novel of alternate history / fraction benefits from Goodwin’s first hand knowledge of the time and place. With greatly chosen characters he illustrates country and people as the Monarchs escape. Adventure meets history and the ethnic and cultural insights add to the richness of the story. You can meet Alan at the Llandeilo Book Fair on Sunday April 30th at the Civic Hall. Alan wrote a memoir about his time as Doctor in the Mekong in the 1970s. Having mt his soulmate of 30 years late in life he is a romantic at heart. You’ve gotten my curious, Christoph… I realize this is an alternate history. But in the reality, was there some question as to whether the monarchs were really killed? Good luck to Alan. Hugs all around. Happy Valentine’s Day. I think you’re right and the death has not been confirmed, but few were confirmed in those camps.